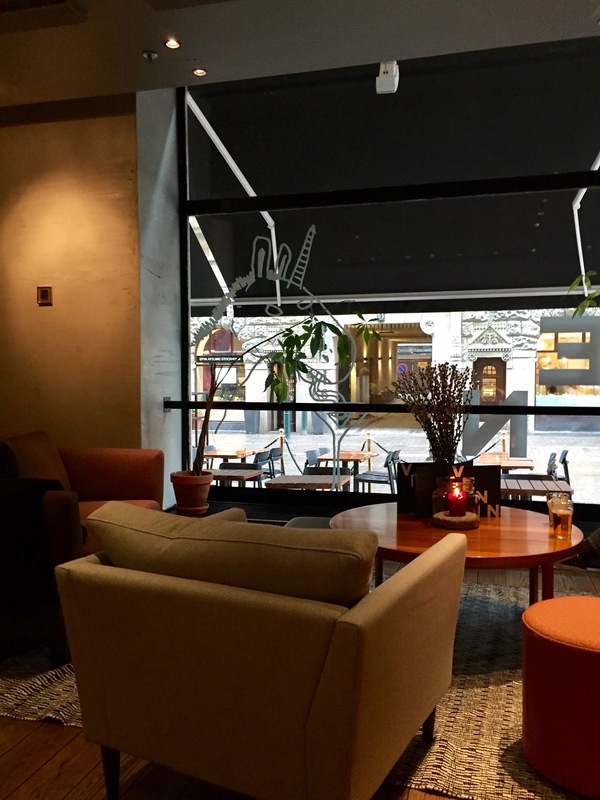 Restaurant VENN Helsinki was established in late April 2017. It replaced Michel, which more restaurant than bar, which VENN aims to be. VENN positiones itself as wine bar and obviously there is going to be new nationwide chain as city is added after the name of the restaurant. Menu is short including modern pizzas, burgers and salads. Wines are reasonable priced, which of course increases attractivess of VENN. Decided to try burgers for late lunch. Avocado burger consisted of avocado, grilled vegetables, salad and piri-piri mayo. Tasty burger with big slices of avocado, zucchini and red peppers. A nice choice as a vegan version, and different from other burgers served in other restaurants. 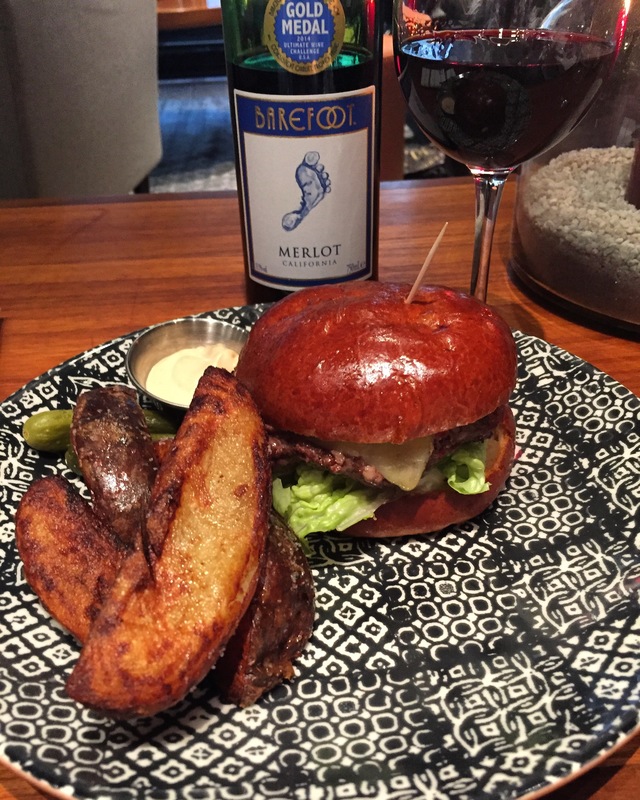 VENN burger included 200g minced meat steak, comte cheese, grilled zucchini, tomato and horseradish mayo. Steak was ordered as medium but it was medium – due to redness of meat. And could not find zucchini this time. Otherwise burger was very tasty and fresh. For both burgers ordered potato blocks which paired well main dish. Other options would have been potato chips (big ones) or salad. 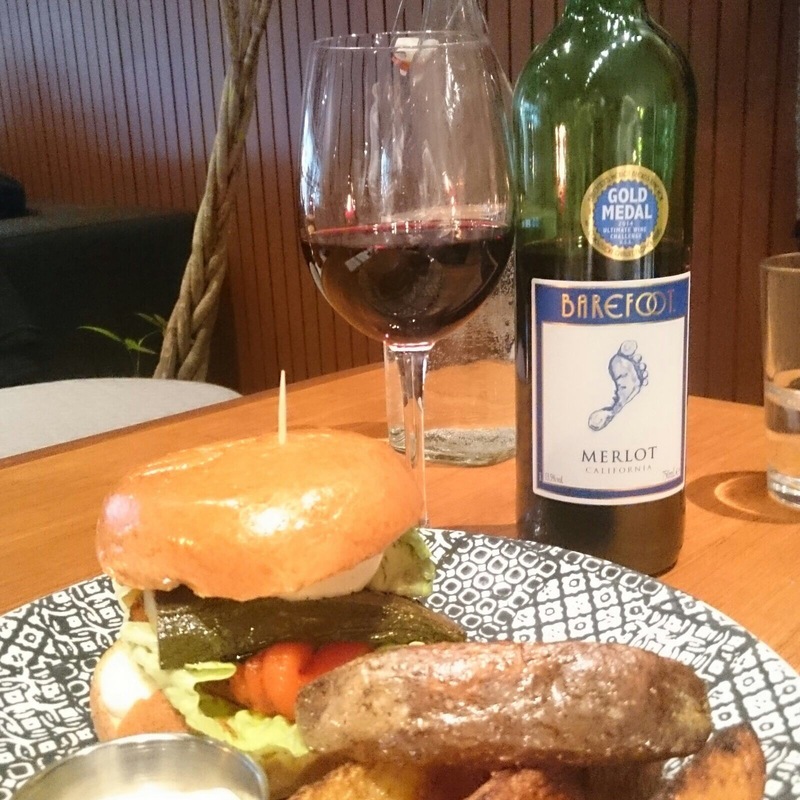 For wine had Californian Barefoot Merlot, which was classified as Velvety red on wine list. Wine has good combo of cherry, plum, and even chocolate. A mocha finish is complemented by hints of smoky vanilla oak. Decoration is cozy, same big bar in the middle of room dominates the space. Windows open on two sides, both pedestrian streets, but one of them is in the summer time famous outdoor night club with live music. Venn is part of S-Group restaurant complex in old buidings in one of the best location in Helsinki. New concept will be more popular than Michel was due to more relaxed athmosphere and easy food. Drinks and wines are now main part of operation.